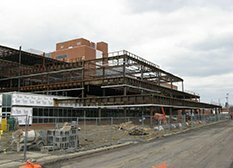 Forest City Erectors, Inc. (FCE), a Woman owned, Female Business Enterprise (FBE) is one of the largest full service structural steel & construction material erection providers in the state of Ohio with over 55 years of experience working in the Commercial, Institutional & Industrial areas of the market. FCE’s main office is based in Twinsburg OH, with other offices in Cleveland and Canton OH. 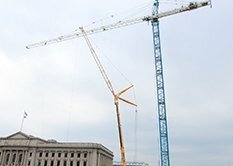 The company’s services range from supply and install to install only of Structural Steel, Miscellaneous Metals (Stairs & Handrail), Ornamental Metals, Glass Railings, Architectural & Structural Precast, Tower Cranes, Personnel Material Hoists, ODOT Bridge work (new and retrofit), Specialty Heat Straightening and Crane Services. 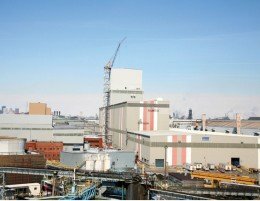 FCE’S Industrial Division provides facility upgrades, equipment installation and maintenance repairs. FCE successfully completes work under a large range of project contract delivery systems including IPD (Integrated Project Delivery) and DA (Design Assist). 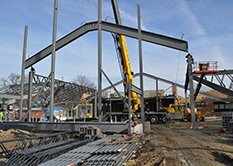 FCE maintains certification as an Advanced Certified Steel Erector through the American Institute of Steel Construction (AISC), performs work under the National Maintenance Agreement and is signatory with the Ironworker, Operator and Boilermaker unions. 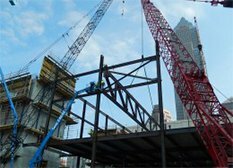 FCE developed in the industry providing fabricators with valuable assistance in erecting both steel and miscellaneous metals and continues to do so today. 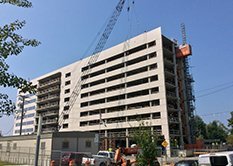 Precast erection work including structural and architectural precast is another area of Forest City Erectors’ (FCE) expertise . 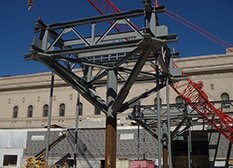 FCE’s employees are specifically trained in tower crane erection and dismantle operations, resulting in the expertise we have developed for this line of work. 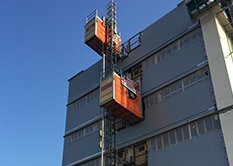 We have been providing full service packages to constructors of all types for over 25 years.